The AMD Radeon R9 280X is a fast single-GPU graphics card for desktop PCs, that has been presented in October 2013. It is based on the "Tahiti" GPU and manufactured in 28 nanometers. The card offers 2048 shader units and a 384-bit memory interface (3 GB GDDR5, 288 GB/s). The R9 280X uses the same chip as the older Radeon HD 7970. Tahiti is based on the GCN architecture and offers 2048 shaders, 128 TMUs and 32 ROPs. Compared to the HD 7970, the R9 280X clocks slightly higher at 1050 MHz for the Core (max. Boost) and 1500 MHz (6000 MHz effective) for the memory. The 280X supports DirectX 12 (FL 11_1), but lacks the new Trueaudio feature. Depending on game and settings, the performance of the Radeon R9 280X is similar to the Nvidia GeForce GTX 770. Therefore, even the fastest mobile GPUs like the GeForce GTX 780M are outperformed by more than 30 percent. Demanding games like Metro: Last Light can be played fluently in 2560 x 1600 pixels and maximum settings. In some cases, even higher resolutions or additional AA/AF are possible. 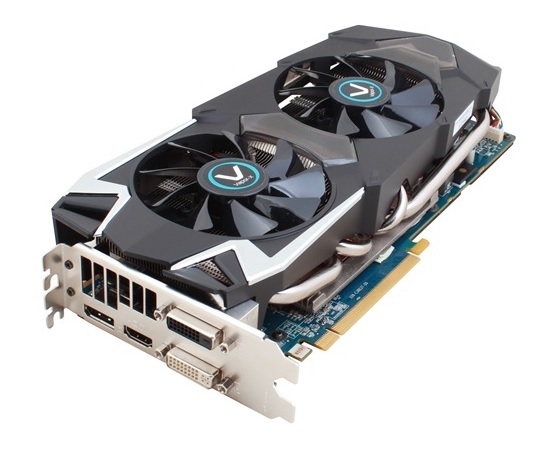 The R9 280X supports well-known features like Eyefinity, but also some innovations such as a new turbo mode. Depending on power consumption and temperature, the core can be boosted up to 1050 MHz. However, there is no offical base clock respectively a lower limit. Thanks to dynamic clock adjustments and the Zero Core technology, the R9 280X is very energy efficient while idle. Under load, the card is rated at a typical power consumption of 250 watts.